What exactly is appreciation? A quick search defines appreciation as the recognition and enjoyment of the good qualities of someone or something but this word is more than a simple definition. Showing appreciation for someone spreads positivity and joy, much of what we need right now. 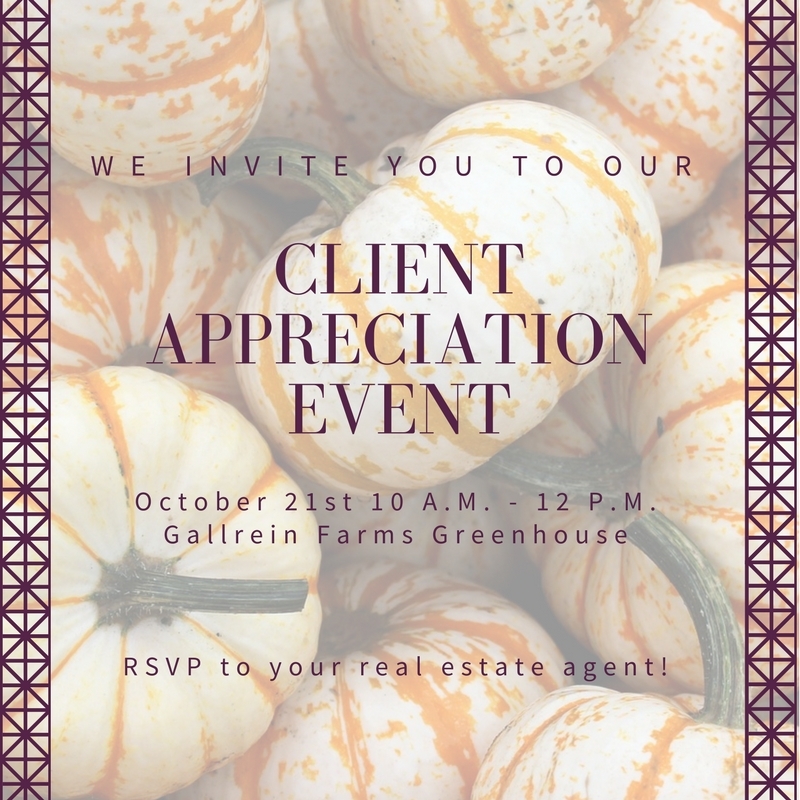 We value appreciation here at Berkshire Hathaway HomeServices Parks and Weisberg, Realtors® which is why we are hosting a client appreciation event for our past and present clients! Join us on October 21st, 2017 from 10 am to 12 pm at Gallrein Farms Greenhouse for a day of family fun! We’ll be providing coffee, milk and donuts in the morning with a photo booth to take your perfect fall family portrait and fun fall coloring pages with endless crayons. 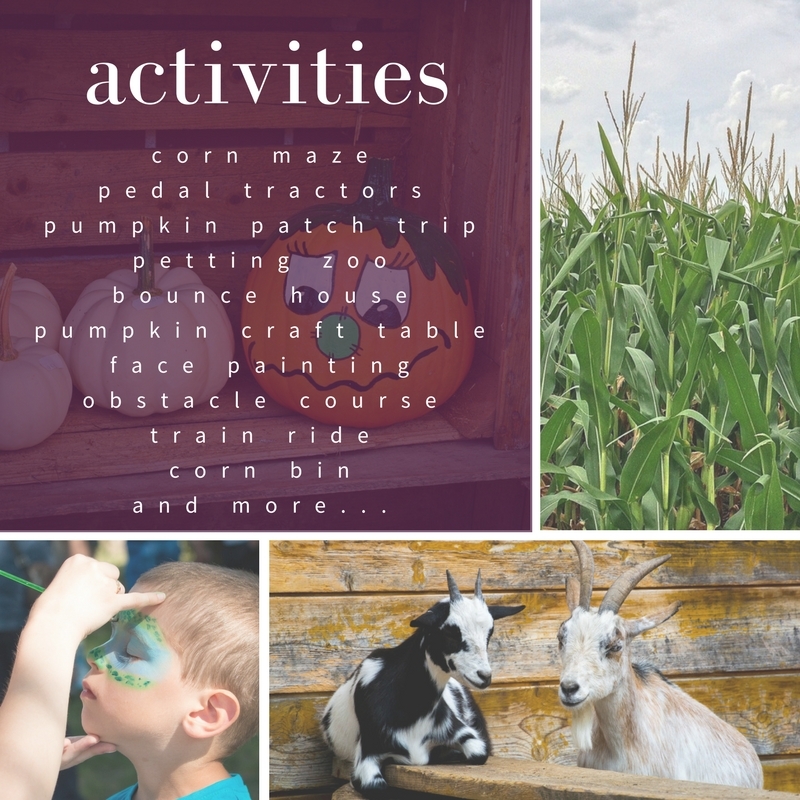 If those activities aren’t your thing, don’t worry! We’ll have several chances to win prizes too! First up is a giveaway for several prizes. Oh and don’t forget to come in costume! We’ll also be having a kid’s costume contest to win another prize. To compete in the costume contest, wear your costume to the event. We’ll post the pictures to our Facebook page for a week. Whoever receives the most comments wins! Contact your agent to find out how to attend our client appreciation event today!